Trainspotting is a series of articles highlighting features in the lastest version of Firefox. A new version of Firefox is shipped every six weeks or sometimes eight– we at Mozilla call this pattern “release trains”. It’s a new year, and of course there’s a new Firefox! Let’s take a look at some of the goodies inside the latest update. ServiceWorkers and Web Push are two truly transformational web technologies, because they enable web pages and web applications to do things that were simply not possible before. ServiceWorkers allow a website to register a script that can intercept navigation requests, cache assets and data offline, and run even when the webpage isn’t open! This allows for more responsive UIs, better offline support, and lays the groundwork for more application-grade experiences. Web Push builds on top of ServiceWorkers and, with user consent, allows web content to receive push notificatons from a server and to trigger system notifications that can return a user to the page, even after they’ve closed the browser tab. We’re going to need a bigger boat. Firefox 44 puts an emphasis on designer productivity tools with a fantastic animation inspector to complement existing style tools. 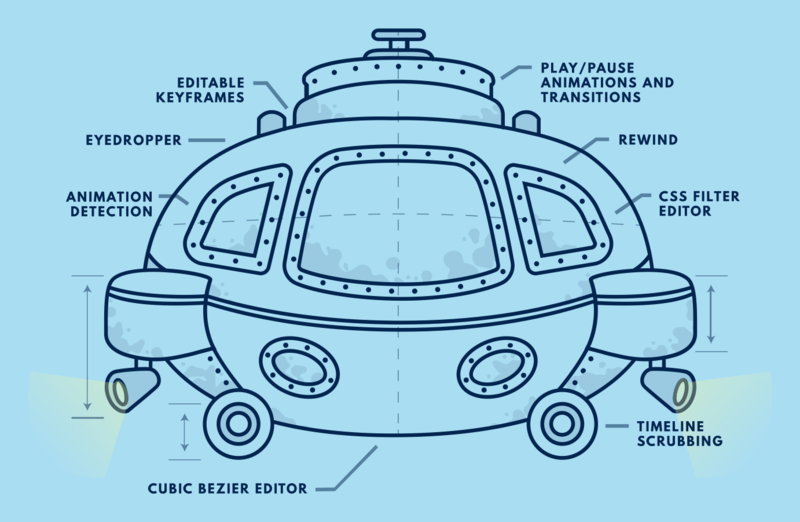 Climb aboard the DevTools Challenger to learn about these tools, and explore both the deep ocean as you learn how to inspect animations, live-edit keyframes, tweak CSS filters, and more. In addition to the aquatic wonders and animation tools, there are other great changes and additions to the Firefox Developer Tools. WebSocket debugging is now available as an API in the Developer Tools. While an official UI is under development, you can start debugging WebSockets today with a purpose-built extension. If you’d like to manipulate or more deeply inspect an object logged in the console, you can now assign it to a temporary variable via the context menu. There’s lots more to love for developers and users alike in Firefox 44- check out the full release notes or view the list of developer-facing changes. Keep on rocking the free Web! The option “ask every time” for cookies is removed and cookies are accepted right away. Without telling me, that this is changed! WHAT? Really? And this was actually filed as a bug? I don’t get it, I got crashes, yes, I got trouble clicking all this cookies away, yes, but at least I knew what was going on, and btw I never got firefox crashed because of the option. I’ll be heavily searching for an alternative browser and I’ll recommend everybody I know doing the same. This is the more or less the final straw, “modern features cloud community folderol web-browsing”, not my cup of tea, that’s why I changed to firefox in the first place and why I’m leaving chrome alone. Don’t get me wrong: If there is a problem with this option, okay, remove it, if necessary. BUT TELL ME!!! I just realized by accident, that firefox started storing cookies of never before visited websites again! Thats not how it should be, I think. I want at least to be asked: fine, if you don’t want no cookies block them all, here’s the button ->! As worse as: In the links you provided in “Dive Deeper” I don’t find a notification about this ‘bugfix’. One sad Firefox-User wishes everybody a nice weekend after all.